Based on the short story 'Problem at Sea', first published in the UK in 1936, this is the second outing to a foreign location in this first series of episodes. The screenplay is by Clive Exton (the first script since The Adventure of Johnny Waverly of which he is sole writer and not a consultant), and the director is once again Renny Rye. Exton maintains almost the entire short story in the adaptation process, but he makes some significant additions. First, Hastings is added to the mix and is given a subplot about a clay-pigeon shooting tournament (!). I must admit I find this subplot quite ridiculous, but it's nice to have him on board. Second, there's a rather long list of extra passengers added to the ship; two middle-aged theatrical women (Nelly and Emily Morgan) and their niece Ismene; Mr. and Mrs.Tolliver (who are mentioned in the short story only as "a hawk-eyed couple"); Bates (who, I think, is "the ship's doctor" mentioned in the final scenes of the short story); Mr. Russel, an elderly gentleman with a passion for poetry; and a mysterious steward, Mr. Skinner. All except the two last characters mentioned can be reasonably extracted from the source material. The two aunts add a more plausible reason for Poirot's little performance, as they put on little evening soirees on the ship. 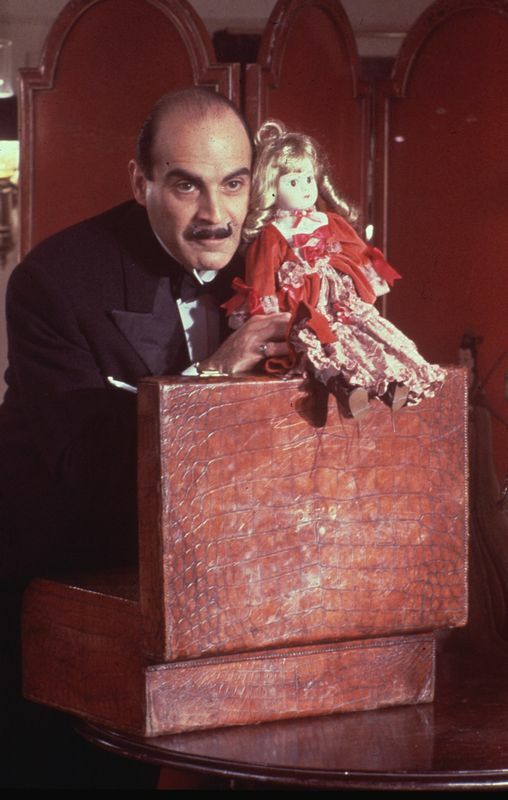 Their niece provides Poirot with the doll and is given the task of saying the important line behind the screen (a plausible scenario to what is never properly explained in the short story - where did that doll come from, and why would Poirot attempt to change his accent?). Mr. and Mrs. Tolliver are, as I've already explained, sort of present in the short story, and in the adaptation they accompany Poirot to a restaurant in Alexandria (so it is not as if they are added as suspects). 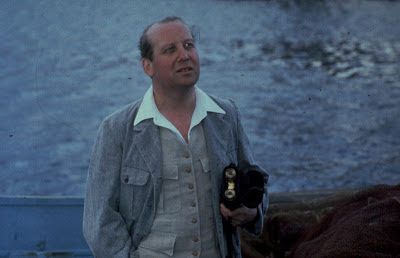 Bates is presumably the ship's doctor mentioned in the short story, and in the adaptation he is given an extra function as well - he seems to have served under Captain Hastings in the war ("We are all civilians now, Bates"), which could even explain why Poirot and Hastings are on the cruise and why Hastings is allowed to attempt clay pigeon shooting on board - he's an old friend of the crew. Mr. Skinner, who was not in the short story, seems to provide a typical "red herring" in the adaptation, complete with his scary eye-patch and everything! A third set of changes Exton makes to the story is to give more of the passengers a motive for murder. This is a sensible change, since the original plot in itself has a very limited number of suspects (essentially just Clapperton, who seems to have an alibi, and the local bead sellers). The additional suspects are General Forbes (who knew Mrs. Clapperton before the war and has been in love with her for years), Miss Henderson (who bought a necklace from the bead sellers and could possibly have dropped it at the scene of the crime) and the mysterious Mr. Skinner (who stole Mrs. Clapperton's jewellery). The short story 'Triangle at Rhodes' was first published in 1936 and formed the sixth episode of the first series of Poirot in 1989. The episode was directed by Renny Rye and adapted by Stephen Wakelam in his only Poirot outing. Quite a lot of the scenes in the short story have been restructured, that is to say some of them appear in a different order from the source material, particularly towards the middle of the episode. However, the adaptation stays very closely to the short story, and almost all the lines are kept intact. Some references are expanded, such as the arrival of the two couples on the ferry, a fact merely stated by Douglas Gold in the short story. One character is deleted, namely Sarah Blake. 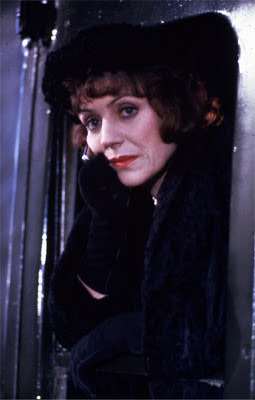 Instead, Pamela Lyall gets most of her lines and takes a leading role in the 'investigation' (much like other women Poirot takes under his wing in future adaptations, e.g. Jane Grey in Death in the Clouds). She also gets to point out the triangle shape, a task assigned to Poirot in the short story. A major addition to the story is a subplot concerning Major Barnes (General Barnes in the short story), somewhat reminiscent of Evil Under the Sun, a novel very similar to this short story. He is a secret agent keeping an eye on the Italians in the face of the Abyssinia crisis (we also see Blackshirts throughout the episode). Moreover, there's the added Catholicism of Douglas Gold - which is probably intended to explain why he is not the murderer. Also, Poirot's escape for peace and quiet on a mountain top (in the short story) here becomes an excursion, much in the same way as in the adaptation of Appointment with Death. Finally, Poirot intends to leave the island in this adaptation (probably to keep him away from the actual murder and enable the insecurity about the poison bottle) and gets mixed up with the police (reminds me somewhat of the exciting scene in the adaptation of Yellow Iris!). For anyone who claims Poirot is never angry - take a close look at this scene.The ending of the adaptation is quite different to its source, with Poirot and Pamela tracking down the poison used for the murder (with the help of the forensic officer, a "friend" of Major Barnes)- and then an extravagant chase scene with two fishing boats (I do understand that they need to fill out the episode, and they to add some excitement, but particularly in future episodes, these the-villains-try-to-escape scenes are actually quite annoying...). The Third Floor Flat became the fifth episode of Poirot's first series. It was adapted from the short story published in 1929. Scriptwriter was Michael Baker, in his first of three Poirot scripts, and Clive Exton as a script consultant (notice how the production team are slowly letting other writers in on the job, under the watchful eye of Exton). The director was Edward Bennett, who had already directed the first two episodes of the series. The script stays remarkably close to the (rather thin) short story. There are some additions, but most of the added scenes are based on tiny references in the source material. I've noticed that some bloggers claim that the opening scene of Patricia and Mildred dancing is nothing but padding, and of course, to an extent it is, but Patricia does mention in the short story that the letter from Mrs. Grant is probably a complaint about the loud music from her piano, so to have them dancing to a record is more than acceptable in my view. Also, the fact that Mrs. Grant has just moved in isn't in the original story. In fact, you could almost get the impression that she has been living there for some time, without knowing that her rival lives right above her. So again, Baker's change makes complete sense (and, the change gives us some wonderful glimpses of Whitehaven Mansions!). Now, of course, the main change, really, is that the unnamed residential block in which Poirot rents a flat is changed into Whitehaven. A very sensible decision. First, why would Poirot live anywhere else, now that he's established in Whitehaven? Second, why on earth would he take the name of O'Connor (and pretend to be Irish!)? I mean, out of all possible disguises, that is probably the worst he could have chosen (and dare I say, it does sound a bit out of character for him to choose such a lousy disguise!). Also, it makes much more sense to have Patricia be aware of his presence. I mean, if you were Hercule Poirot's neighbour, you'd probably know! Another important change is the introduction of Poirot's cold. Now, that's also based on the text actually, because it's how Poirot tricks Donovan into smelling the sedative, so again, a perfectly sensible addition. The changes I've mentioned so far are all at least partly based on the source material. In addition to these, Hastings, Japp and Miss Lemon are added (which has become the norm by now). Miss Lemon's part is small, but sensible, in that she gets to help Poirot with curing his cold. 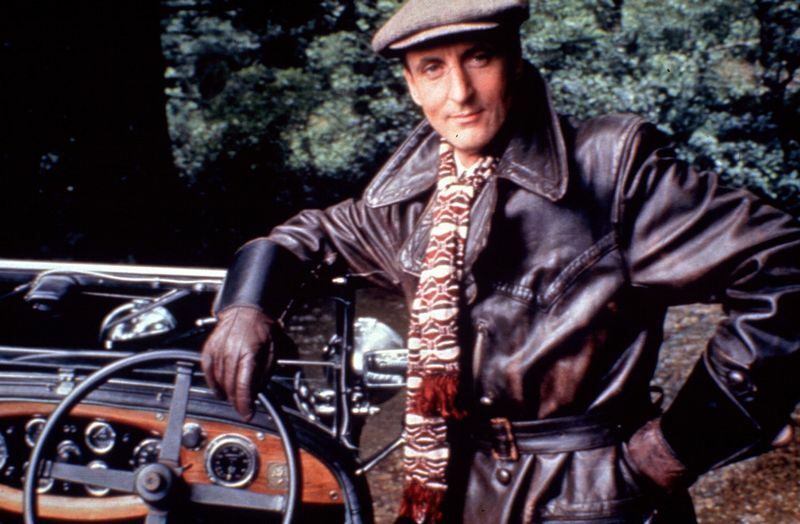 Hastings doesn't get much to do either, apart from the added chase scene towards the end - and of course the devastation brought on by the destruction of his beloved Lagonda. Japp replaces Inspector Rice from the short story, and I'm not complaining. I do realise that they need to have a basic family unit, as Exton has described it, to make the series work. And of course, it adds to the development of the camaraderie between Poirot, Japp and Hastings. 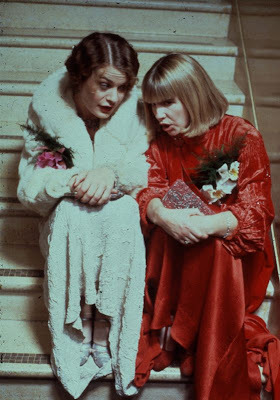 There's also an added section of the episode in which Poirot and Hastings, along with Patricia and her friends, attend a play. This is a nice addition, both because Hastings takes Poirot to a play like this in Christie's novel Dumb Witness, and because it explains where Patricia and her friends had been before they return to the flat (in the short story, it's just assumed that they've been out for the evening). As an aside, a very similar scene takes place in the adaptation of The Clocks, in which Poirot attends a stage version of one of Ariadne Oliver's books, 'The Good Samaritan' (another nice bit of continuity of sorts within the series' run). Any other changes I haven't mentioned are so minute and mostly based on the text, so I won't go into detail about them. Edward Bennett's direction is competent as usual. In this one, I particularly love his use of the location, with the rather memorable crane shot that follows the building from the window of Mrs. Grant's flat in 36B through Patricia's flat in 46B to Poirot's in 56B. I have always wondered whether that was shot on location at Florin Court or in a studio of sorts, but I guess they must have shot it on location - if not, then they really had some fancy special effects! Now, the star of the show here, really, is Florin Court, that magnificent 1930s building doubling as Whitehaven Mansions. While I rewatched this episode, I realised how lucky the production team were when they discovered this gem - and found it to be empty of tenants! The story is quite remarkable, really. (See the documentary Super Sleuths or Peter Haining's book on the series). In fact, this particular episode could probably not have been shot in exactly the same way had it not been for the fact that they discovered this temporarily empty and newly restored building. Yes, the flats seen on screen are constructed sets, and the staircase is probably in a completely different building, but there are so many shots - in this and other episodes of the first series - looking in on the action through the windows or driving past the apartment block in the square in front of it, that probably couldn't have been done if the block was occupied. The soundtrack to this episode is actually quite memorable. Sadly, Gunning's score for this one has not been released. As to the other bits of music - the record Patricia and Mildred are dancing to and the song they're singing in the staircase, I haven't been able to track down much information. The song they're singing is 'Life is Just a Bowl of Cherries' from 1931. There some nice character development on Poirot's part here. First, of course, we have his hypochondria, the very serious cold that turns out to be not as serious after all. I love that he's wearing all those layers of clothes (again, spot on from Christie's stories). Notice the slight change in voice as Poirot gets better (Suchet strikes again!). Second, there's the nice story about the girl he fell in love with who couldn't cook (though we can't really trust him with these sort of stories, he is known to invent whatever story suits him, it's still a nice touch and a slight sign of his lamentation on his loneliness that will grow in the years to come). Finally, there's his matchmaking trait. This is a particular favourite of mine. In several of Christie's books - and in quite a few of the adaptations - Poirot takes on the role of matchmaker/Cupid, like with Jimmy and Patricia ("Go to Mlle. Patricia, Jimmy"). See also the adaptations of How Does Your Garden Grow?, Murder on the Links, Sad Cypress, Mrs. McGinty's Dead, and The Clocks. Of the guest actors, Suzanne Burden (Patricia Matthews) stands out with a lively and vivacious performance, and Nicholas Pritchard (Donovan) somewhat manages to awaken some sympathy for his character when he confesses to the crime. We've now come to the fourth episode of Series One, Four and Twenty Blackbirds, adapted from the short story published in 1940. The script is by Russell Murray (in his first of two Poirot adaptations), with Clive Exton as a script consultant. The episode was directed by Renny Rye (who also directed the previous episode). Since this is the first script of the series that was not written by Clive Exton, I was curious to see if there were any noticeable differences in style and method of adaptation. Unsurprisingly, perhaps, there is little difference. This might partly be due to the fact that Exton acted as a script consultant on this and several other episodes to come, but as we shall see in later adaptations, several of the scriptwriters would take more liberties than Murray has taken here. Still, he has made some significant changes. I'll try and summarise them briefly and to the point. First, the opening sequence shows Anthony Gascoigne at his deathbed, attended by his housekeeper Mrs. Hill, as well as her telephone call to Mr. Lorrimer to inform him that his uncle is dying. Lorrimer is not a doctor in this adaptation. Instead, Murray assigns him the somewhat more sensible profession of theatre producer (which would possibly explain his easy access to costumes, make-up, wigs - and some theatrical skill). 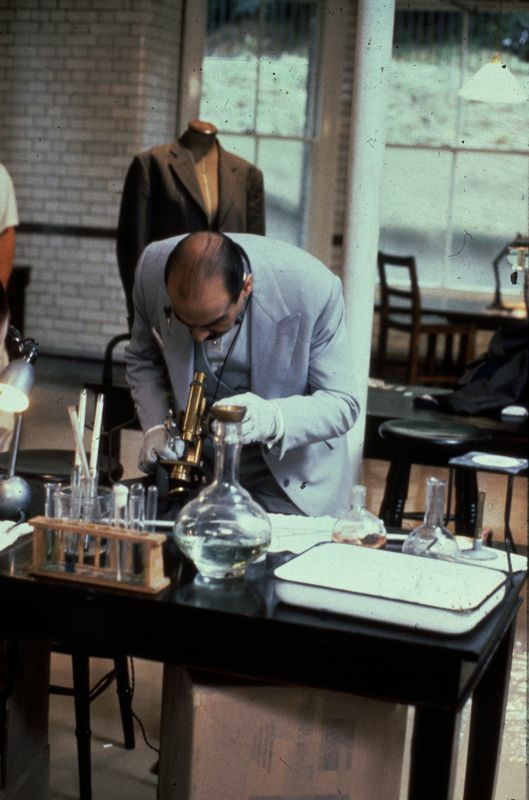 Second, Murray turns Poirot's friend Henry Bonnington into Poirot's dentist, the very same that was mentioned in the previous episode of Murder in the Mews. Not only does this enable some dialogue for Miss Lemon and Hastings (who are added to the story), pointing out that Poirot is trying to avoid his dental appointments (again, a reference to the previous episode and the future episode of One, Two, Buckle My Shoe), it also partly explains some of Bonnington's guesswork at the dinner table with Poirot, where he suggests that Gascoigne has changed his diet on doctor's orders (which seems a sensible suggestion, coming from a dentist). 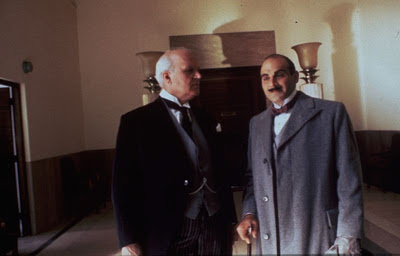 Moreover, it enables a more plausible meeting between Bonnington and Poirot only a day or two later, since Bonnington points out that Poirot's teeth are still sensitive and need a check-up. In the short story, the two meet accidentally on the tube (Would Poirot take the tube? I know Christie made him take it in several stories, but the Poirot we've grown accustomed to doesn't seem the type of person who would. 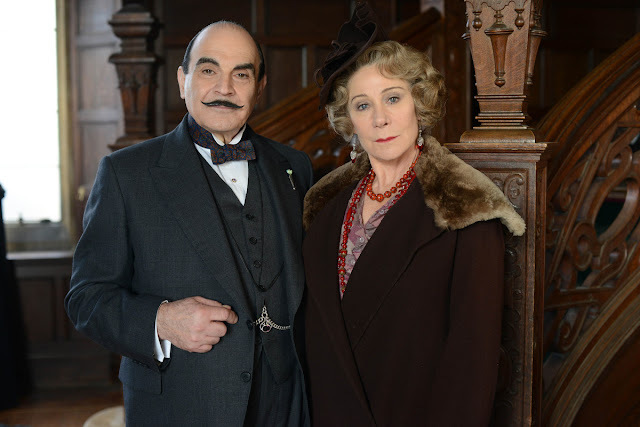 Mind you, the coming adaptation of Labours of Hercules might prove me wrong - if they decide to depict the meeting between Poirot and Countess Rossakoff literally!). Third, Murray cleverly does away with the unknown identity of Henry Gascoigne and has Molly the waitress know his name (If he had his dinner there twice a week the waitresses would eventually get hold of his name, I'd imagine). This somewhat simplifies Poirot's investigations, as he doesn't have to search the newspapers for recent deaths and can easily obtain the address and observe the scene of the crime. Fourth, the discovery of the body is itself expanded from a reference in the short story, and a landlady with a strong distrust in "foreigners" like Poirot is added to the mix. Fourth, Murray adds two further "suspects" to the investigation; a model, Dulcie Lang, and an art agent, Peter Makinson. This expands the art angle of the story, only referred to in the source material. Henry Gascoigne is made into a successful artist who refused to sell his paintings. Instead, he gave several to his agent and his model. Now that Gascoigne is dead, the paintings can be sold, and the two naturally become suspects. Also, along the same art storyline, the late wife of Anthony Gascoigne used to model for Henry before his twin brother "stole" her from him (adding a sibling rivalry and a possible motive for murder - at least in Hastings's opinion). 'Elephants Can Remember' UK broadcast date confirmed - 9 June 8pm! ...and we're off! Agatha Christie's Poirot Series Thirteen is on! The press release was issued about a week ago, with a strange embargo on publishing details. Anyway, now we have the official confirmation of the broadcast date (see this article, and this article for some lovely press photos)! Really excited to see some pictures from the episode, I love the house they seem to have used. And of course the fact that Poirot's flat is back on screen. It could just be the time of year they shot it, or even the way the photos were taken, but they do seem to have a rather bleak look about them - reflective of the adaptation as a whole, perhaps? Also, just a few tidbits of information from the press release (everything has been on IMdB for months, actually). 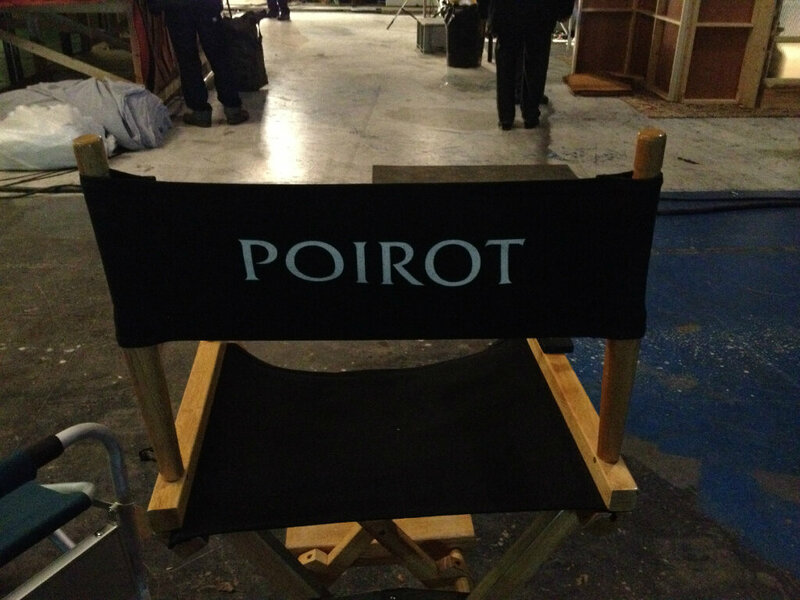 The series now has a new producer (David Boulter), who I think is the fifth producer on the show. The screenplay is by Nick Dear, who has written absolutely wonderful scripts before, particularly for the Ariadne/Poirot coupling, so this should be good. The best news, in my mind, however, is that Christian Henson is back to do the score, presumably for the entire series. After Gunning, he is definitely a good choice. Expect to hear references to the famous theme tune in future episodes. "Viewers should be able to see from 25 years ago to now that the character himself is still there and hopefully hasn’t changed and is the Agatha Christie character from day one." "Quite a lot now (of influence as associate producer), more so on the scripts before we start shooting and everyday I’m on the set I can always have an input if I see things that are not going quite right. Cast and crew can also come to me with a problem if our producer is not available. I like it very much because I’m the only one really that’s been there from the beginning so I can be very useful and helpful hopefully!" "One is always in a situation with the adaptation of books and I get letters from Poirot diehards saying ‘oh its moved too far away from the book.’ Very often the books themselves are not that filmable from a commercial point of view. For instance, they maybe set in one setting and the audience loves us going out to other locations. Sometimes the stories do get changed but they are always pretty close to the book." (Perhaps less reassuring, but I personally don't mind changes as long as they work - and it's good to hear that they are aware of that). P.S. I'm not in the U.K., so I won't get to see the episode yet (unless someone puts it up on YouTube or something, but I'm not sure I want to see it there first). As a result, I'm not going to write anything on it until I've seen it. BUT: If anyone who sees the episode want to e-mail me or post a comment over at poirotchronology.blogspot.com on the chronology matters of the episode (i.e. any references to year, date or historical event), that would be much appreciated! Since it is looking increasingly likely that we will see the return of Countess Vera Rossakoff in the final series (Labours of Hercules) I thought I might write down some thoughts on that particular character, the actress who portrayed her in The Double Clue and the rumours of a new actress in the role for Labours. 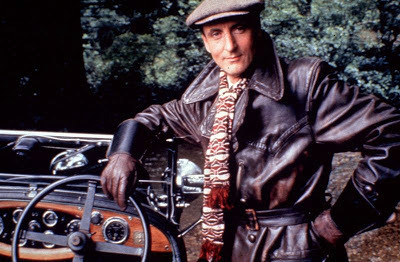 This adaptation was shot for the first series in 1988, the second ever episode. It was based on the short story 'Murder in the Mews' first published in the UK in 1937. The script is once again by Clive Exton and the director is Edward Bennet. Once again, Clive Exton delivers the goods with a script that stays fairly close to its source material. Bits of dialogue are moved around to straighten out the narrative, but most of it is kept intact. As is the case with most of these short story adaptations, Hastings and Miss Lemon are added to the story (which originally just featured Poirot and Japp of the "regular cast"). Both additions make sense. In fact, in the case of Hastings, Exton introduces some of the character traits that will help Hugh Fraser to flesh out the character in future episodes. For instance, Hastings keeps his car in a garage in the mews where the murder takes place, a hint of what will become a somewhat significant part of TV-Hastings's character, his love of cars. Also, when Poirot visits the scene of the crime, Hastings is outside working on his car and is given the task to find witnesses, and he comes up with Freddie Hogg (who, in the short story, was one of three witnesses, together with his mother and father, a chauffeur, but they are only seen on screen, interviewed by the police). 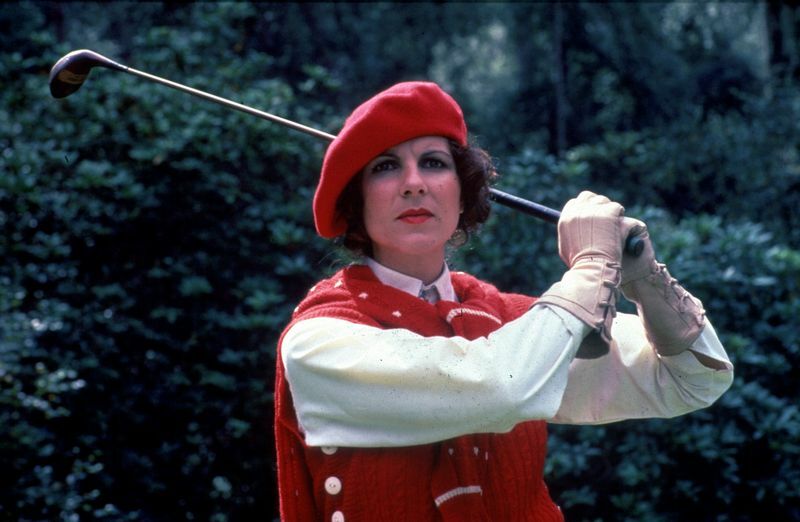 Later, Exton introduces Hastings and Poirot at the golf course at the same time as Miss Plenderleith is disposing of the golf clubs and the briefcase, adding an amusing scene in which Poirot attempts to play golf. Hastings's love of golf will also be referenced in future episodes (see, for instance, the Anthony Horowitz-scripted Murder on the Links (1996)). The adventure of ITV's screen adaptations of Agatha Christie’s stories on Hercule Poirot began in 1988, when the production crew started shooting their first ten adaptations. The very first episode was based on a short story, ‘The Adventure of the Clapham Cook’, first published in the UK in 1923. The adaptation was scripted by Clive Exton and directed by Edward Bennet. Clive Exton’s script stays remarkably close to Christie’s original story. The few scenes and characters that are added or changed are entirely logical and mostly just expand smaller references in the short story. For instance, Poirot’s visit to the bank, only referred to in the story, is here shown in full. Moreover, the interview with Simpson in his room is somewhat expanded, and Exton adds a further clue in Poirot’s reference to amateur theatre (which will later be tied to traces of glue on Simpson’s face from the false beard he was wearing when meeting Eliza Dunn). Also, Hastings and Poirot visit Eliza Dunn in her Lake District cottage, a nice way to underline her happiness and newfound sense of freedom. The visit also gives Exton (and Suchet) the chance to display Poirot’s distaste for the countryside, a character trait we will see more of in later adaptations. The search for Miss Dunn’s trunk is also somewhat expanded, including a comical confrontation between the station porter and Hastings. Again, Exton includes a further clue in the “Bolivian” notes the porter thinks he saw in Simpson’s wallet (which will later be revealed as bolivar, the Venezuelan currency). As to character introduction, both Japp (who is mentioned in the story) and Miss Lemon (who is not mentioned, since this story was written while Poirot and Hastings were still living in 14 Farraway Street) make logical appearances. Miss Lemon takes on parts of the landlady’s role, showing Mrs. Todd into the living room, and part of Hastings’s role, placing the advertisements in the papers (which makes a lot more sense than Hastings doing it). 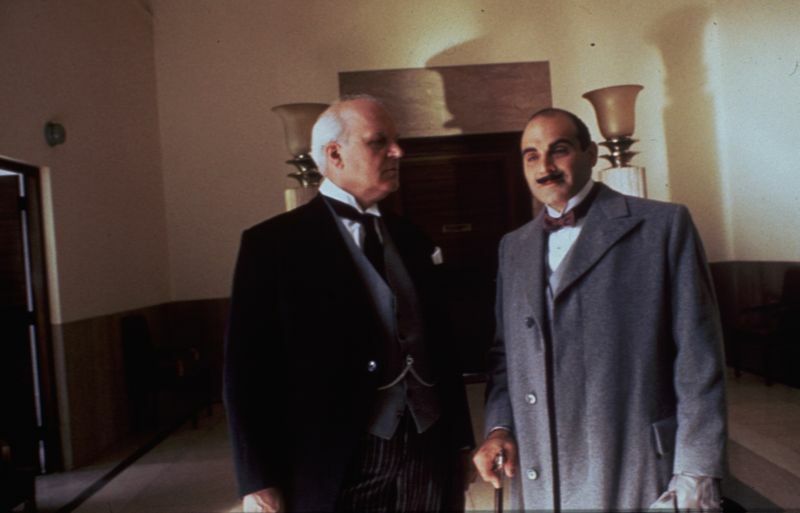 Japp is seen to be aware of Poirot’s hunt for the housekeeper, which leads to an amusing confrontation between him and Poirot both at the bank and at Mrs. Tood’s house. Also, the inclusion of Japp and the Scotland Yard in the hunt for Simpson makes sense, especially as they are already searching for Davis. All in all, then, the adaptation remains faithful to the short story and the few additions and alterations should hardly raise an eyebrow among Christie purists. A reader e-mailed me recently with some suggestions for further "investigations" on the blog. He suggested I should discuss the work of prominent script writers, directors and actors on the show, and comment on their approaches to the stories, characters and series as a whole. In fact, this is an idea I've had at the back of my mind for some time, but I've dismissed it so far on the account that a) I don't consider myself a Christie expert, let alone a good reviewer of books and adaptations, and b) I cannot even begin to claim that I have any in-depth knowledge of directing, script writing or any other aspect of film work. Also, so many people on line have done such an excellent job with reviews and comments already, so why should I do anything other than refer to these? However, since receiving this e-mail, I've done some research into the information available on line. What strikes me is that while all the blog entries and reviews I can find are excellent in their own right, very few (if any) offer a broad overview of all aspects of each episode. So, in the end, that is what I have decided to do. In the coming weeks and months I will attempt to discuss the series episode-by-episode, comparing Christie's originals and the adaptations, comment on directing in some limited way, offer behind-the-scenes information in the cases where I have been able to find some, refer to interviews and character development and offer a location guide where that information is available. In short, I'm attempting to offer the closest thing to a complete introduction to each episode, with (hopefully) thorough references to other blogs, web sites and literature on offer on line and elsewhere. I was going to discuss the episodes in the order of my chronology, but I have later decided that it makes more sense to study them in broadcasting order, both in terms of script writing, directing and character development.